Anil Biswas was born at Barisal in East Bengal (now Bangladesh) on 7th of July, 1914. He showed his singing talent at the tender age of 4. Probably, his first teacher was his mother. He was a good tablaa player too. During his high school days he got associated with a revolutionary party and in the freedom movement. Civil Disobedience movement had swept the country and youth across the country were involved in it. Anil-da was no exception. His role earned him jail four times. It was then, in 1935, that he composed his first film song 'Tere Poojan Ko Bhagwaan'. He became part of Eastern Arts banner and under this production house his name appeared for the first time on screen for film Dharam Ki Devi. The year was 1935. Next year he joined Sagar Movietone and composed for Jaagirdaar (1937). With this film his association with Mehboob Khan started. Songs from Jaagirdar, Gramophone Singer and Mahaageet became popular and so did Anil Biswas. It was this time when he introduced a 12 piece orchestra in films. In Mehboob directed Roti (1942) he brought Akhtaribai Faizabadi (Begum Akhtar) back into films. Meanwhile Sagar Movietone became National Studios where he worked with veterans like Ashok Ghosh and Pransukh Nayak. In 1942 Anil-da joined Bombay Talkies. It was here that he introduced several new singers to the world. Surendra Nath was mentored by him. At Bombay Talkies, his first film Basant became big hit. The success story continued with Kismat (1943) whose music became a rage and film turned out to be mega success. He also composed for Hamaari Baat, Char Aankhen, Jwar Bhaata - Dilip Kumar's first film and Milan. He later started working as independent composer outside the Film company's world. Under the banner of Variety Pictures (owned by his first wife, Ashalata Biswas), he composed the music for four films - Laadli ('49), Laajawaab('50), Badi Bahu ('51) and Humdard ('53). He co-produced Mehmaan ('53) under the banner Sagar Art Concern and also provided the music for the film. Anil Biswas, if not a father figure like Raichand Boral, is certainly the mentor of many talented individuals. Mukesh (Pehli Nazar), Talat Mahmood (Aarzoo) and Sahir Ludhianvi (Doraha) all owe their first successes to his nurturing care. 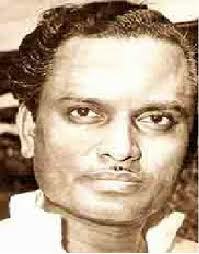 He is credited for many innovations in film music - he gave us the structure that is prevalent in modern-day film songs; concept of orchestra entered in our film music through him; he introduced us to counter melody; he popularised and presented Ghazals in Hindi films in more consumable way; he was probably first to experiment with Raag Maala in film music (Ruti Aaye, Ritu Jaaye Sakhi Ri [Humdard]). Due to the changing trend of music in films and the tragic end of his younger brother and elder son in the year 1961, he left Bombay for Delhi and finally settled there. He took charge of Chief Producer (Sugam Sangeet) at AIR, Delhi on 1st March 1963 and served upto June 1975 (though with a break in between). He remained vice-chancellor of Jawaharlal Nehru University for 2 years. He remained with INRECO from Oct. 76 to March 78. Anil Biswas is the brother of singer Parul Ghosh (the wife of flautist and composer Pannalal Ghosh). He is the father of Utpal Biswas of the Amar-Utpal composer duo. Following the death of his first wife, Anil-da married singer Meena Kapoor, with whom he leads a retired life in New Delhi.